Heads of Conference of Presidents urge Airbnb CEO to meet and discuss the company’s decision to boycott Judea and Samaria. The Conference of Presidents of Major American Jewish Organizations on Wednesday called on Brian Chesky, co-founder, CEO and Head of Community at Airbnb, to meet with American Jewish leaders to discuss the company’s latest decision to remove home listings in Jewish communities in Judea and Samaria. Arthur Stark, Chairman, and Malcolm Hoenlein, CEO, wrote that the company’s decision violates the principles of open commerce and the spirit and letter of several federal and state laws prohibiting discriminatory practices, including boycotts. “The BDS movement at its core is anti-Semitic as has been amply demonstrated. After recent events, especially following the attack of the Synagogue in Pittsburgh, we will not, and cannot remain silent. When Jews here or anywhere are singled out, threatened, discriminated against, or put in jeopardy of any kind, we must, and will respond,” continued Stark and Hoenlein. “We know that Airbnb has in the past expressed opposition to discrimination and conduct that would support bigotry. We hope that this will be the case now. We ask Mr. Chesky to act promptly to rescind the decision and make clear that the company rejects BDS in all its manifestations. The leaders suggested that a meeting be convened as soon as possible to put this matter to rest,” they concluded. Airbnb, an online rental marketplace, announced on Monday that it will no longer list homes in Jewish communities in Judea and Samaria. 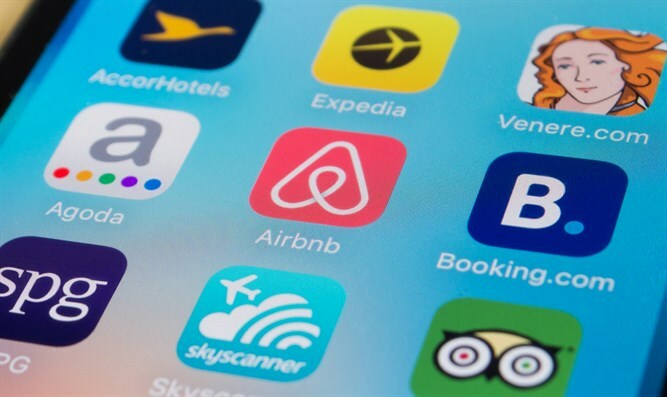 Tourism Minister Yariv Levin (Likud) on Monday blasted Airbnb’s decision as “disgraceful and miserable” and demanded that the site cancel the decision. On the other side, Saeb Erekat, the Palestinian Authority (PA) chief negotiator, praised Airbnb’s decision. “While we believe that this is an initial positive step, it would have been crucial for Airbnb to follow the position of international law that Israel is the occupying power and that Israeli settlements in the West Bank, including occupied East Jerusalem, are illegal and constitute war crimes,” he said.